You have a fun, training video (lift, skills, crazy burpess, etc.) you want to share with us. Send it to us over fans@boxrox.com. Add age, box and country. Add a short description of you or what are you doing in the video. We want to see athletes of all ages, men and women from all over the world. Your number does not matter, but your effort counts. 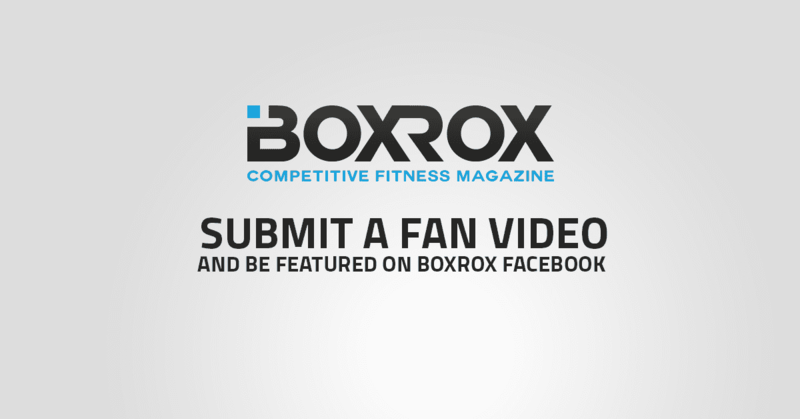 Each week we will pick out top videos and feature them in the BOXROX community video series – a feature where we pick out top athletes from different CrossFit boxes around the world.